While iPhone is still the flagship product for Apple, businesses need to look at the other products like Apple TV and Apple Watch that has been released by the brand too, when developing apps. Swift Coding, a multi-paradigm & compiled programming language promises to revolutionize app development for the different Apple products. Developed for iOS, OS X, watchOS, tvOS and Linux development. we would see more developers opting for this and bidding adieu to Objective C. Its new version, Swift 2, is more developer friendly and lets them focus on the apps rather than worry about the technology. If there is one area where Android enjoys an unbeatable lead overi OS, it is in terms of the percentage of free apps available in its ecosystem. With Apple focusing on the emerging markets around the world, the demand for free apps has increased substantially. Free apps attract almost four times more downloads as compared to their paid counterparts. 2016 will observe a substantial rise in the number of free apps for iOS. According to predictions, it will reach 90% from the current 75%. Ecommerce businesses have realised the importance of offering great experience to customers on the mobile devices. 2016 would prove to be a ground breaking year for mCommerce as more users are turning to handheld devices to shop for their favourite products and services. With technologies such as ibeacon and wallet in place, mCommerce has transpired incredible user experience on the mobile devices. Small and medium online stores with a niche market need to get apps developed in order to reach out to a larger user base, while retaining the existing customers. With millions of consumer apps out, the activity in this category has shown signs of slowing down by the end of last year. Developers are finding it increasingly tough to monetize their apps and have now shifted focus towards enterprise apps. With BYOD (Bring Your Own Device) phenomena gaining steam, enterprise app development has turned into a lucrative opportunity for developers. From problem solving to increasing productivity, app developers are helping businesses draw the best out of this technology. Though this isn’t a new trend in 2016, it is expected to be in the news given the benefits it offers the users as well as the businesses. Cloud based apps would help bring down the overall size of the apps and also serve as an advantage in terms of multi-device syncing. Whether you want to develop an enterprise app or a consumer app, you need the services of a creative and technically sound iPhone app development company. At Semaphore Software, we would offer you an inspiring product that addresses your business goals. 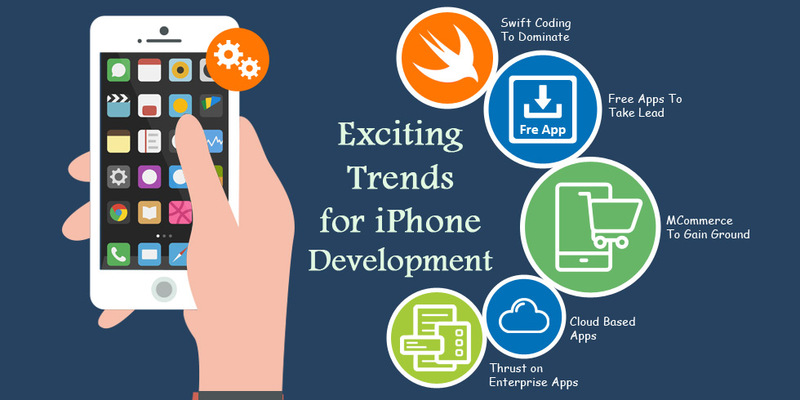 To know more about iPhone development drop us an email at info@semaphore-software.com.